We recruit Achievers who are known to want to make the difference, individuals of whom others experience impact for many years. Through finding the right fit between you and your work environment we support you in being more effective in your current job, or we help you to search for a position in which you can deliver even more value. The outcome? More satisfaction in your job and an increase in your personal effectivity. Geert-Jan Joosten (1972) is partner at Search&Change. Geert-Jan is trained as structural engineer, business economist and certified controller. Geert-Jan is a challenger, he likes to make an impact by making people aware of their qualities and talents, so that they can further develop and make a difference. He is sharp, with a no-nonsense attitude, and values relationships. 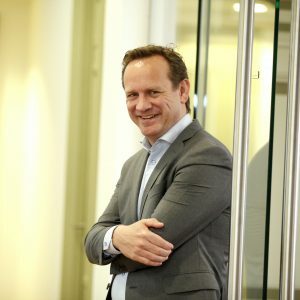 In his career as a headhunter and managing partner with an Executive Search agency and as a financial expert and interim manager, Geert-Jan has gained unparalleled experience in developing and identifying talent and creating impact for organisations. He has worked for Takenaka in Japan, at BAM, worked closely with Ahold, Bol.com, Unilever, Shell, Friesland Campina, G-Star, Red Bull and Jumbo as a headhunter, and delivers training courses. Geert-Jan is married with Everieke, together they have 5 children, of whom two twins. 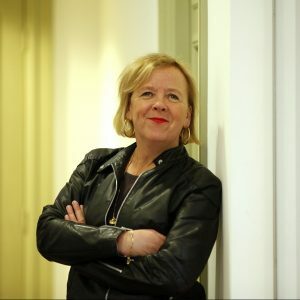 Eva Everts (1979) is Senior Consultant Finance at Search&Change. Having studied econometrics, she gained experience as a consultant with KPMG and as a Business Controller at Heineken. Eva then began her career in recruitment and selection. Given her background and because she is a good judge of character, she is able to provide high potentials with a background in finance and data & analytics with sound career advice. This also enables her to make the right match. During her career as a consultant, Eva gained extensive experience in recruitment and selection. As a consultant, she worked closely with Fabienne Chapot, Rituals, G-Star, Media Markt, Mammoet, Bugaboo, Pon, FrieslandCampina and CRH and Intertoys. Eva lives together with Pieter Bas and their two children Jip (2012) and Roos (2014). 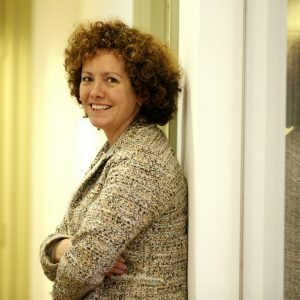 Femke Kemps (1972) is Senior Consultant HR, Projectmanagement and Consultancy at Search&Change. Besides this she mediates generic operational management roles. 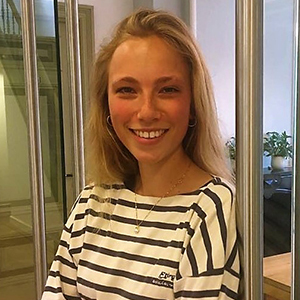 After studying Business Administration at Nyenrode and International Relations at the UvA, she started at Ebbinge and learned about the impact of human capital within a company. After having worked as a consultant for several years at various agencies, Femke decided she wanted more hands-on experience in operational managerial roles, including as HR Manager. In 2016 she went back to her old profession. Femke is genuinely interested in the broad picture, thinks along, is creative and keeps asking. Everything to be able to make the right match. 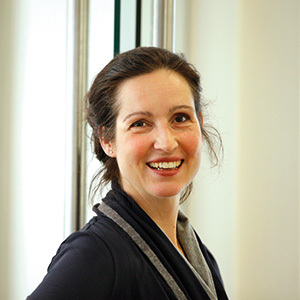 Femke has worked for Jumbo, GrandVision, Landal Greenparks, Hudson’s Bay, Beequip and A.T. Kearney, among others. Femke is married to Jonathan and together they have two children Jasper (2007) and Elin (2010). 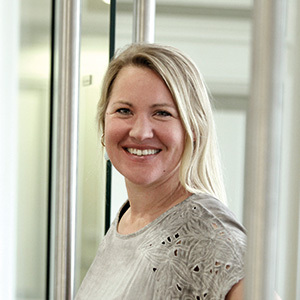 Caroline Bramer – Verlinden (1964) is Senior Research Consultant at Search & Change. After her studies at the Pedagogische Academie she started working in the executive search as a Research Consultant at various agencies. Caroline is enthusiastic, creative, curious and result-oriented. With years of experience in the profession, she knows how to find the right candidates in various disciplines. Caroline lives in Hilversum, is married and mother of Daan and Sophie. Everieke Joosten-van Gasteren (1972) studied veterinary medicine in Gent (B) and Utrecht. She started her career as a vet. She then gained a teaching degree and became a teacher. The last years she has focused more on personal development and the balance between intuition and cognition. Ever since the start of Search&Change, Everieke has assisted in different areas, such as finance and administration. Everieke is the mother of Alexander (2002) and the twins Marchje and Pepijn (2005) and Matthias and Willemijn (2009). In her free time, which she likes to spend with her family, she plays the piano and loves horseback riding. Paula Menses (1995) is a Master’s student in Business Administration in Amsterdam and holds a masters in Digital Media. She works as a Research Consultant for Search & Change. She supports the consultants in the entire recruitment process. She enjoys cooking in her free time. She is also a fanatical traveler. She recently made a trip through Central and South America to learn Spanish.